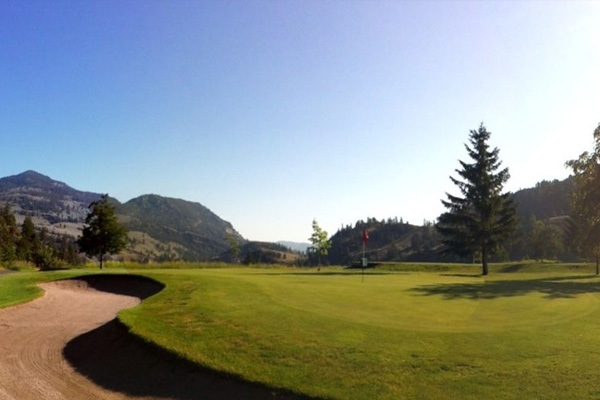 Challenge your game at one of five championship golf courses within a 30 minute drive of Walnut Beach Resort Osoyoos. Golf in this area is known for rolling hills, majestic mountains, rugged landscapes and an unusually long playing season. With all courses open from March to November and some open in the winter months, your next golf vacation should carry you to Walnut Beach Resort. Guests of the hotel can arrange T-times easily through on-line golf reservations. Please see our list of nearby golf courses below. 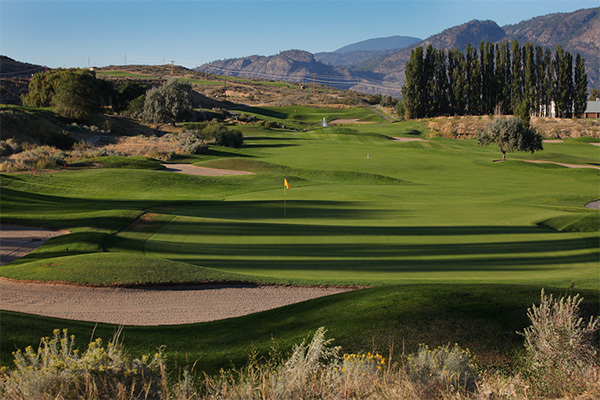 A 36-Hole golf facility, Osoyoos Golf Club brings together ideal desert climate and picturesque Okanagan surroundings. 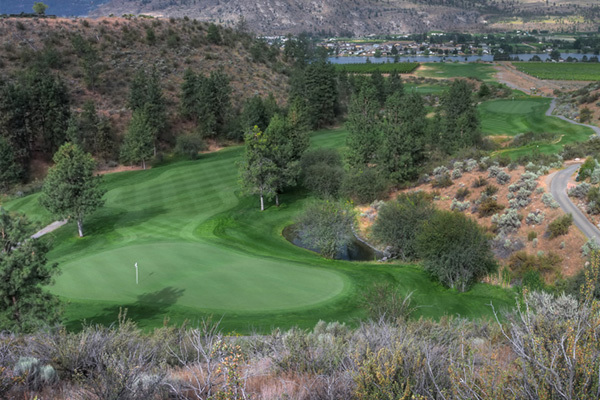 Perched high above the Town of Osoyoos, vistas of mountains, lake, desert and valley comprise the two full eighteen hole championship layouts which offer all golfers a unique golfing experience. 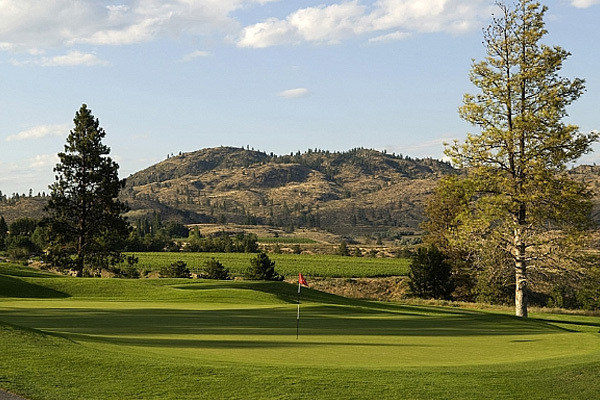 Nestled in the rolling hills and lush vineyards of the Okanagan region, this stunning 9-hole golf course is truly one of a kind. 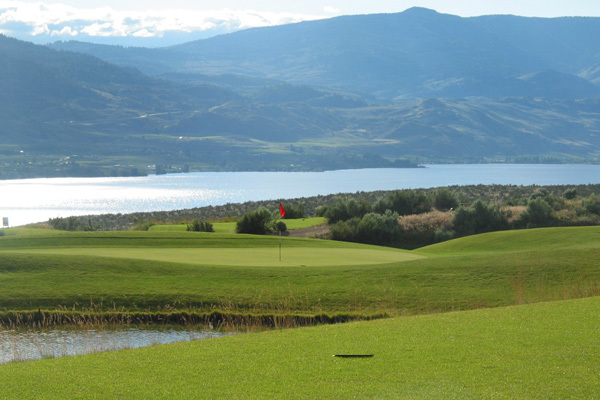 Golfers of all abilities enjoy the experience of breathtaking views of the mountains and Lake Osoyoos. Score Magazine has rated the championship Fairview Mountain #18 on its list of top 100 golf courses in Canada. A must on any golfer's tour of Desert Wine Country with stunning views and 18 memorable holes. “Nk’Mip” (Inkameep) means flat bottom land at the mouth of the creek or river. This desert canyon course is a striking blend of natural contrasts with the desert- dominated Canyon Nine and the more laid-back Grove Nine whose verdant fairways and greens welcome a long drive and a satisfying putt. Twin Lakes golf course features spectacular golf in a serene mountain valley setting surrounded by towering rock cliffs. The Desert Golf Academy was inspired and created by golf professional Wayne Hachey. 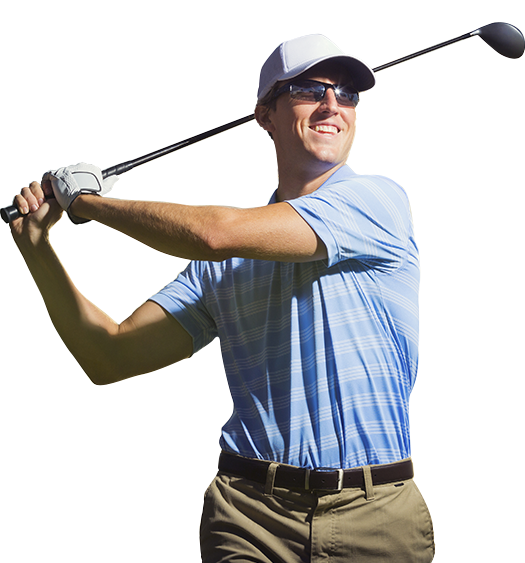 The academy offers individual lessons and specialized golf programs, all tailored to the player’s personal needs. Whether a half day golf program or a weekend getaway, Desert Golf Academy offers courses for women, men and juniors that will help improve your game and take you to the next level. Ask for the Walnut Beach Resort discount when booking.